The Circle of the Serbian Sisters “Mala Gospojina” (Nativity of the Theotokos) was organized to encourage Orthodox Faith, to help the church school congregation in its work and to maintain the Canadian and Serbian national customs and traditions. 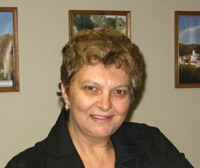 The sisters are very active in the field of humanitarian work. The Circle of Sisters represents our church at the ethnic days of multiculturalism in Oshawa, which are organized once a year. I wish a warm welcome to all sisters in our parish. 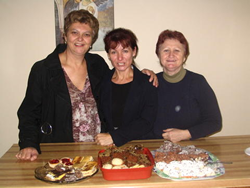 I invite you to join the Circle of Serbian Sisters “Mala Gospojina”. Your presence and your work are invaluable. Everybody can do something for helping the Circle of Serbian Sisters “Mala Gospojina” in promoting our parish, our faith, our culture, our heritage, and our hospitality.